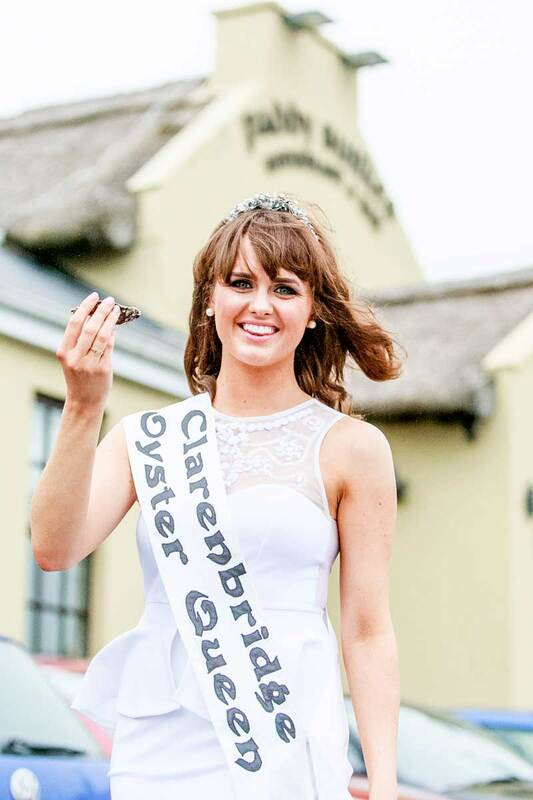 As the Clarenbridge Oyster Festival approaches, we had a chat with this year’s Oyster Queen, Fiona Armstrong (22), who is proud to represent her hometown at this prestigious international event, taking place from September 11th-13th. As a native of Clarenbridge, she is strongly supported by the rest of the Armstrong clan – Dad Michael, Mother Josie and her three brothers, Alan, Niall and Shane. How did you get involved with the Clarenbridge Oyster Festival? I’ve worked in Moran’s on the Weir for 6 years, so oysters and this incredible festival weren’t strangers to me! Being a local girl, I’ve witnessed first-hand the electric atmosphere that surrounds this festival year in and out and I’ve seen how far people travel for the native Galway oysters. So when the opportunity opened to get involved this year, I didn’t have to be asked twice. What is it like being the Oyster Queen? 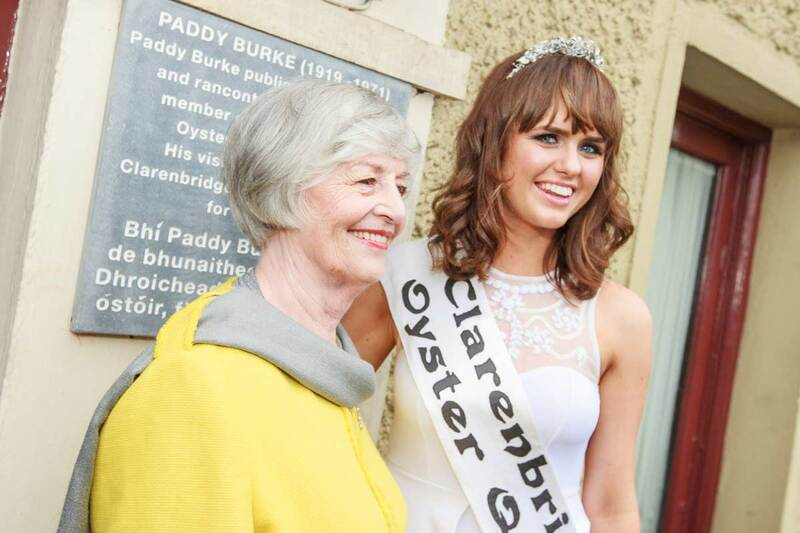 It’s such an honour being Clarenbridge Oyster Queen. Clarenbridge is my home; it’s where I have been lucky enough to grow up, so to be able to represent my home, family and community in this internationally recognised festival is exciting. Being the Oyster Queen is also great fun, like who doesn’t enjoy getting dressed up! Do you feel that royalty suits you? The royalty suits me to an extent in that I love meeting new people; anyone who knows me knows that I’d talk for Ireland so this role as Oyster Festival Queen is something that I’m really enjoying. This stent in royalty gives me a chance to represent my local community, personally I love having familiar and new faces sending you good wishes! Sport is my love, GAA being the focal point of my interest! I enjoy playing camogie for Clarenbridge, running, soccer, watching rugby and going to the gym. I also love going out with my friends, meeting new people and spending time with my family. My real love after that is ice cream. Tell me one thing most people don’t know about you? I am terrified of pigeons!! I begin a Masters degree in physiotherapy in this year, so my career ambition is to be happy in what I do and hopefully that will be coupled with success! I’d love to someday to open my own practice! Health and fitness is something I enjoy and have genuine interest with my undergraduate science degree in physiology and beginning a Masters in physiotherapy, but I think the best advice I can give is, balance. Go for a tough exercise session but enjoy an ice cream! All in moderation isn’t that what they say? If you were stranded on a desert island, with only Ed Sheeran for company, what three other people or items would you bring with you? If I was stranded on an island with Ed Sheeran I would be the happiest person on the world! I’d have to bring my best friend, some food/water and an oyster festival ticket for Ed, when we get rescued he’d have to come to the festival to celebrate! These are all things I’d bring presuming Ed has his guitar packed!! My most recent favourite Galway memory was at the Galway vs Tipperary All Ireland Hurling Semi-Final, what an incredible game! What a day to be from Galway! Favourite place to go out / hang out in Galway? Galway is always a great spot for the craic day or night! My favourite night spots would be The Dew Drop, Front Door, Buskers and you can’t beat the Spanish arch on a sunny day! Tommy Fleming, Jack L with his big band and The Rabbittes featuring Robert Arkins (AKA Jimmy Rabbitte) playing songs from The Commitments have been announced as the headline acts for the 2015 Clarinbridge Oyster Festival. This year’s event will take place from Friday September 11th through Sunday September 13th, will also feature annual favourites the ‘Amazing Apples’ and the ‘Galway Jazz Band’. Two years ago the Clarinbridge Oyster Festival decided to reinvent itself by bringing the very best of Irish musical acts to our village along the Wild Atlantic Corridor. ‘It is amazing to see the caliber of acts we are now attracting’, said Festival Vice chairman Brian Carr. With the success of the Stunning last year the event sold out and we expect the same high demand for tickets again this year. The Friday of this year’s fest will is a fully seated concert featuring Tommy Fleming and his band. ‘Best version of Danny Boy bar none ‘said Eric Clapton on Flemming’s rendition and Sir Alex Ferguson’s quote’ if he played I would sign him’. The evening will feature songs from Flemming’s new album in addition to performances from his favourite tracks. The famous Festival Gala takes place on Saturday and is headlined by Jack L and his full 10 piece brass and strings orchestra. Following performances across the UK and the US Jack L brings his full orchestra to Clarinbridge providing a unique and high energy evening of great entertainment. The Rabbittes, featuring Robert Arkins, performing classic hits from the Commitments also join the headline act for the Gala providing a not to be missed opportunity for music lovers and nostalgic seekers alike. For further details of weekend festival events log onto our website at www.clarenbridge.com. Tickets go on sale next week.